There are so many incidents and horror stories which make one feel unsafe and vulnerable. Rapes and molestation have become so common that not a day goes by without such incidents coming to light. Not to forget, so many of them don’t even see the light of the day and go unreported. India always finds a place in the list of countries which are not safe for women. The recent macabre incidents of rapes and killings made me wonder the world I am living in. At one point even the thought of settling outside the country crossed my mind. I am not proud of that but it did cross my mind. But just when I was about to hit the bottom, something happened during my recent trip to Kochi and it made me feel so proud of my country. To give a little hint, its something around Medical Tourism. 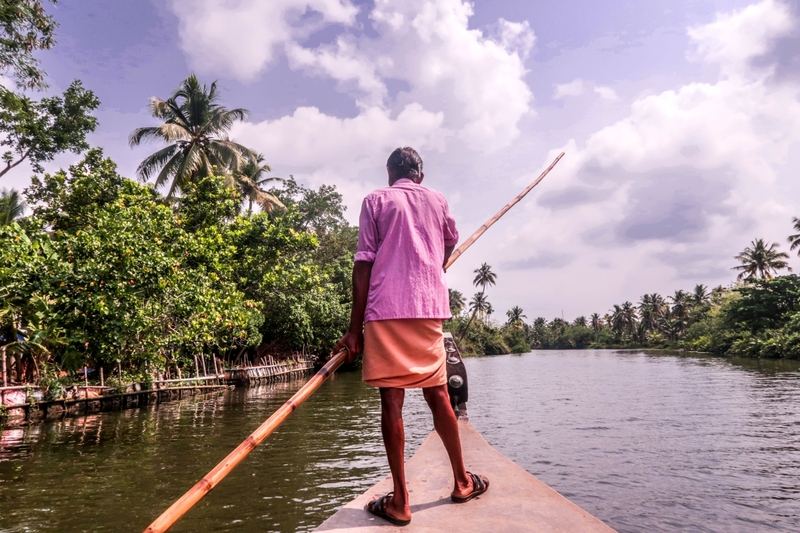 On my recent trip to Kochi, I went to enjoy backwaters with a bunch of strangers. The trip was organized by the homestay owners and we all were picked up from our respective homestays. We drove for around one and a half hour to reach a small town called Vaikom. This small town is situated in Kottayam district in Kerala. In no time from just a bunch, we became a group of good twenty people. We were then directed to the country boat which had plastic chairs inside. 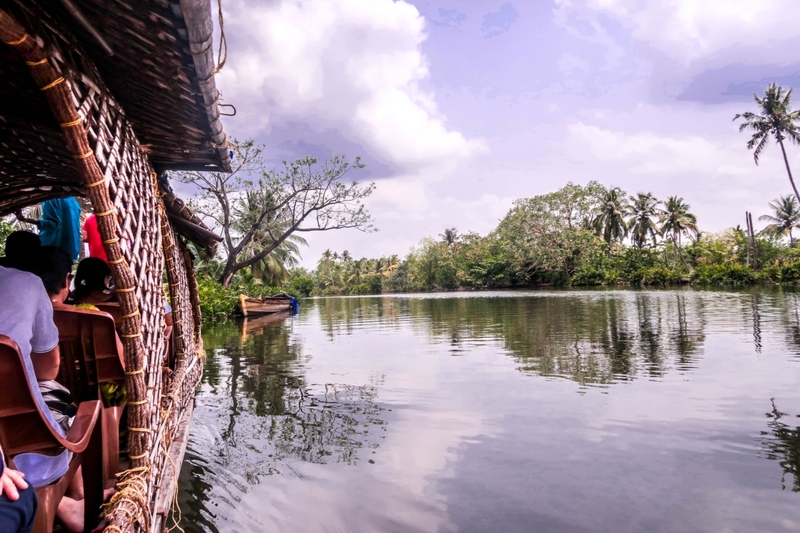 The backwaters are beautiful beyond words and in the scorching heat, the backwaters breeze were surely a respite. Rowing into the gorgeous scenery. 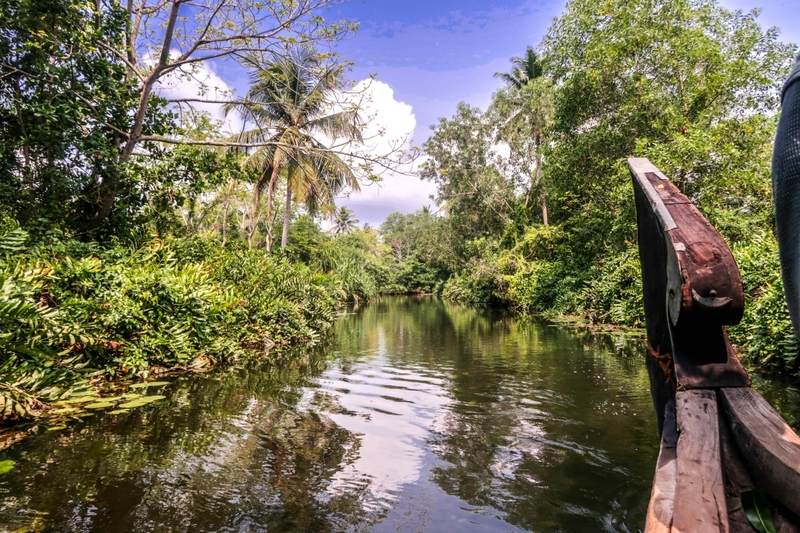 While returning back to the Vaikom we were given the option change our boats and move to canoes. I had second thoughts considering the heat but yet I decided to move to the other boat. Canoes are smaller than the country boat and hence the crowd reduced. From good twenty people, we were down to just eight people. We quickly plopped on the canoe and that’s where I met Melina. Melina was from Paris, France and she was travelling alone. I assumed that she was visiting India as a tourist but my assumption was put to rest as our conversation warmed up. Melina came to Kochi, Kerala for an Ayurvedic treatment of her eyes. She had some rare genetic retinal disease and none of the doctors in Paris could help her. She was told that there was no treatment for her disease. But through the hospital, she met another female who had the same retinal disease. She got her retina treated in Kochi and Melina took all the necessary details from her. Melina then contacted the Ayurvedic centre and landed in India for her two weeks of treatment. After her treatment got over she extended her stay for two more weeks to explore Kochi and nearby places. She spent some time in Munnar and she was exploring Kochi when I met her. Can we call it Medical Tourism, is that even a thing? Her story got me hooked and I kept asking her more questions about the budget and other logistics. She gleefully told me that everything was way in her budget. She was impressed with the attention to minutest details in the treatment because Ayurveda involves healing of the whole body and not just the affected body part. I immediately told her that I am feeling very proud of my country right now, to which she replied that “You should”. I happen to mention that India has always been notorious for not being safe for women. She immediately snapped back and said its safer than Paris, I can hold my camera and not worry about someone just lifting it off of my hands, I don’t have to worry about being pickpocketed and in my four weeks of stay, I have never heard a lewd comment. She also added that she can’t say much about the other part of the county but for Kerala, she could vouch for the safety and warmth that she had received. On asking about the results of the treatment, she pointed to the hot sun and said I can dare to roam under this scorching heat, that’s a success in itself. 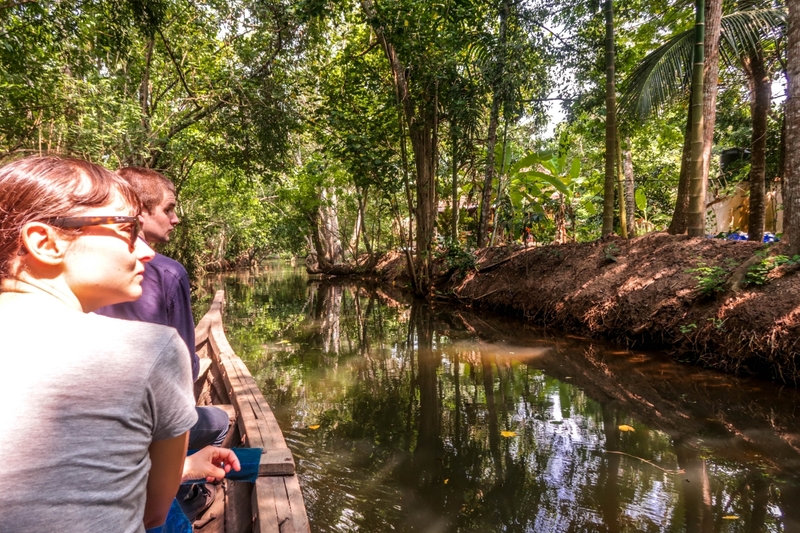 The discussion around the treatment got drifted to other topics as we moved ahead in the narrow channels of the backwaters. Melina was in a hurry as she had to catch her flight back to Paris. I couldn’t get down to much details with her. But during our whole conversation, there were many times when I felt she was more proud of India than I was. While on one hand, she talked how she felt safe in Kochi. I countered her saying maybe because the southern part of the country is comparatively safer. I reasoned all her points by pointing out the geographical aspect of the place. 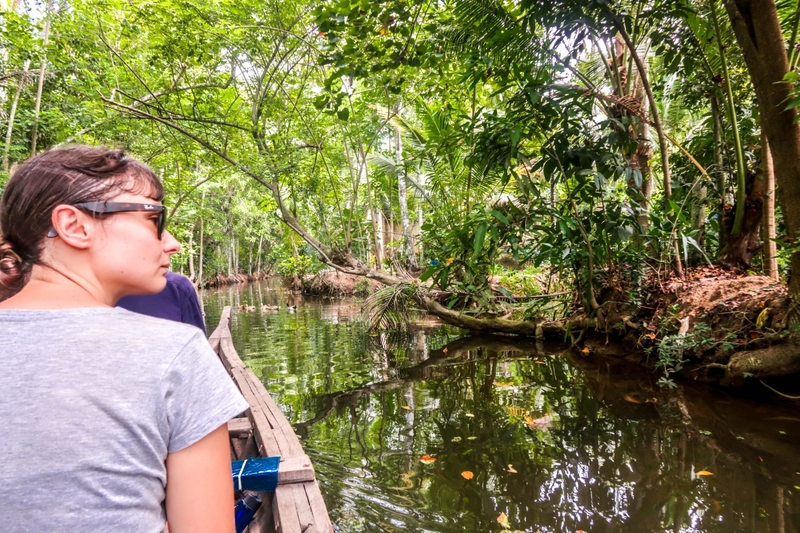 After a while, when the conversation got over and our canoe moved into a narrow channel. There was pin drop silence with just the rustling of leaves and chirping of birds. For some unknown reason, I felt miserable. In that silence, I realized the damage I did to my own country. It could be nothing but it was my word against Melina’s. I felt responsible for dampening my own country’s image. Maybe no one took my words seriously. Maybe no one paid heed to it, but it kept echoing in my head. It struck me that we as travellers, as Indians need to talk more about good things of our own country. Bad word travels fast and there’s enough around already, so there is no point in adding more to it. I know the country has countless areas of developments and improvements but it also has achievements worth being proud of. Let’s talk about them more and other things a little less.